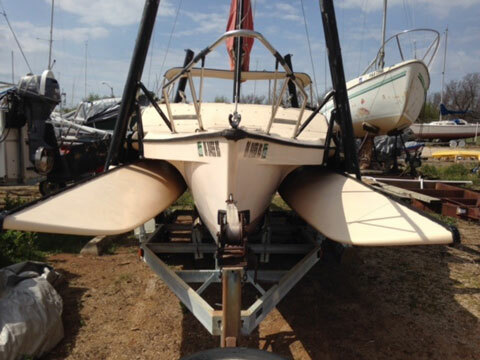 For sale is my 1983 Haines Hunter Super Tramp - the racing model. 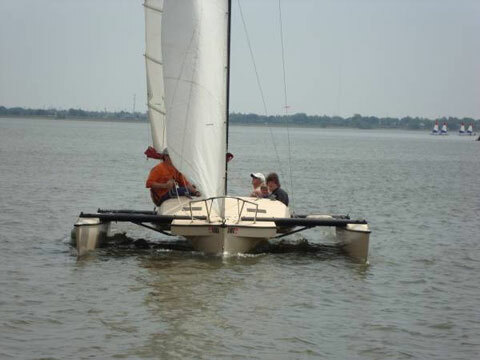 This is one of the original "folding" trimarans, made in Australia, in fully operational condition. 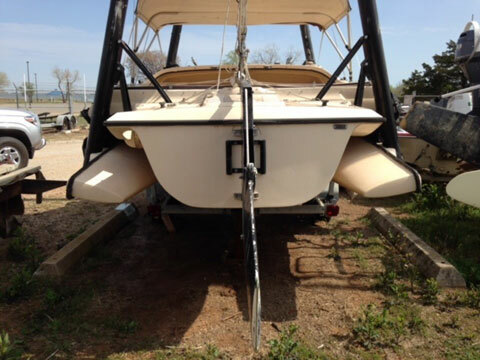 The boat is on it's trailer, in the public storage area of Lake Hefner, OKC, OK. 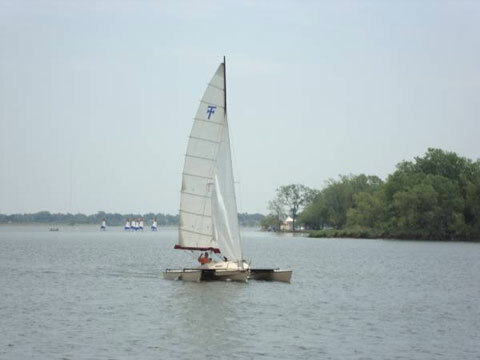 The boat includes: 2 Main sails, 4 jib/genoa, spinnaker with pole, lazy jacks, mainsail "Mack Pack" installed on boom, CDI FF2 Roller Furling (currently not installed - missing luff part), running backstays (currently not installed), original "cockpit camping tent", Bimini, numerous pockets for lines and misc. 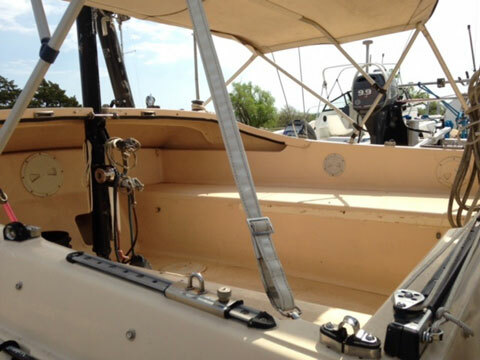 in cockpit storage, navigational lights, boat hook, fenders, and ground tackle. The hull is in good condition, the netting for the outriggers is in good condition, the sails vary from good to fair condition. 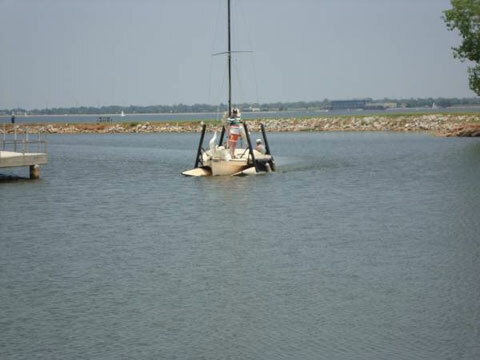 The original main is on the boat, while there is another square-top main included. Two of the jibs are setup for clipping to the forestay, while the other jib and genoa are for the roller fuller.